We've had a good share of travel to beach destinations, but out of all the beaches and traveling, Oahu always stands out. There's just something about getting away and finding the perfect aloha escape, where you can listen to the ocean waves crashing and the forecast is calling for board shorts and flip flops all week long. You're on a beautiful island far away from home, but it has everything you need to entertain you just like that big city you left behind. Beach, sun, escape, and city life - that's Honolulu, your destination. Luxury, style, and comfort, that's The Modern Honolulu, your hotel. The Modern is the perfect location, close enough to Waikiki beach, but just slightly removed to give you some space from the tourist crowds. Plus the Modern has a great nightlife of its own with The Study, a lobby bar located behind a rotating wall of books. Yes, it's like finding the secret entrance to the bat cave, except it's full of great cocktails and live music and there are no creepy bats. The rooms at The Modern Honolulu are just what you would picture at this boutique hotel - contemporary, stylish, and minimal yet refined in style. The room is bright, comfortable and has a breathtaking view of the water. The rest of the property is equally matched. The pool area, right by the marina, is buzzing with tanned body's laying out by midday. On the second level is a private artificial beach, complete with palm trees, chairs, and a bar to relax. 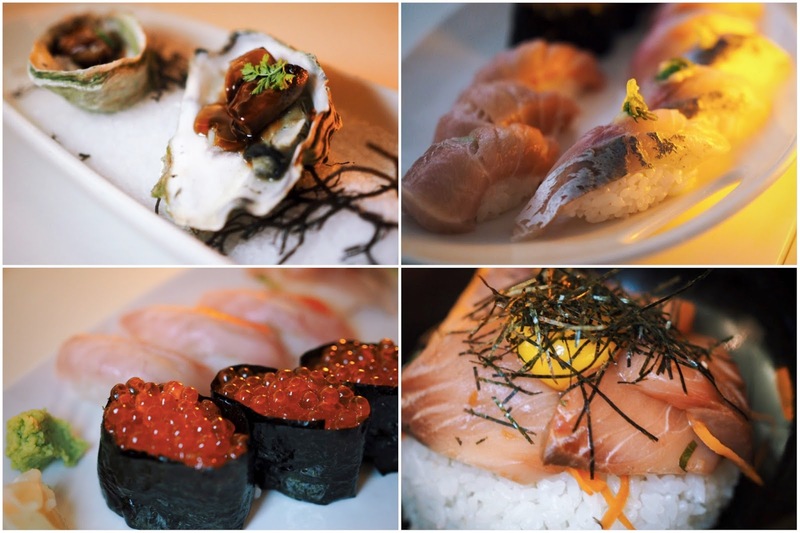 For dinner you will want to eat at Morimoto. Yes, Iron Chef Morimoto's Waikiki restaurant, located in the hotel and right by the water. Try to ask for a table outside and watch the sunset go down over the Pacific while you dine on oyster foie gras and the best sushi you've ever had. The Modern Honolulu is the perfect place to stay in Waikiki. The rooms are modern and luxurious, the boutique hotel has style, and the food is outstanding, even the President has stopped in for dinner at Morimoto. No wonder the hotel has received the honor of AAA Four-Diamond, is on multiple top travel lists, and continues to be ranked number one on Trip Advisor. Plus with programs like their "Friends With Benefits" (no, it's not what you think) you can book directly with the hotel for the lowest rate and receive rewards from $50 - $150 credits per night. The Modern Honolulu will be a place that we will visit again and again. Poolside lunch: Chicken prosciutto sandwich with arugula aioli. Morimoto Dinner clockwise from bottom left: salmon roe; oyster foie gras with uni; chu-toro; yellowtail cooked table side in a hot stone bowl. Special thanks to The Modern Honolulu for collaborating with Hungry in LA. As always, the content and opinions expressed here are entirely our own.